Day 2 of our week of rain. Yesterday didn't amount to much at my house, only about a 1/4 inch. Today though we are having some thunderstorms with fairly heavy rain so will be interesting to see what we end up with. My image for today is what I was looking to photograph when the Hummingbird showed up that I shared yesterday. 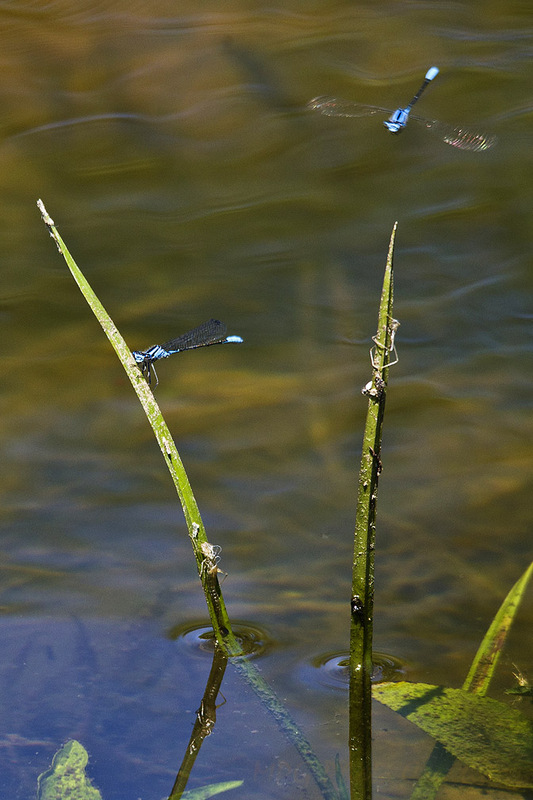 I was shooting this Blue Damselfly on the reed in the pond and got lucky capturing a second one fairly in focus flying in. If you view large you can see remnants of Damsel nymphs on the reeds near the water.